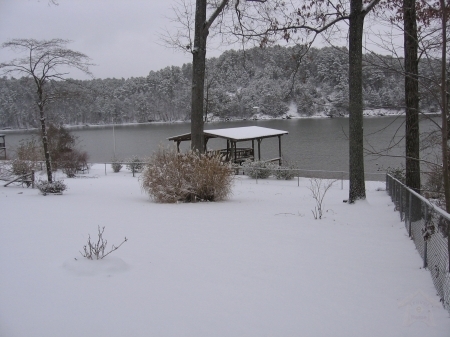 This vacation house has the most beautiful view of Lake Hamilton and is located right on the lake with over 100 foot of lake frontage. 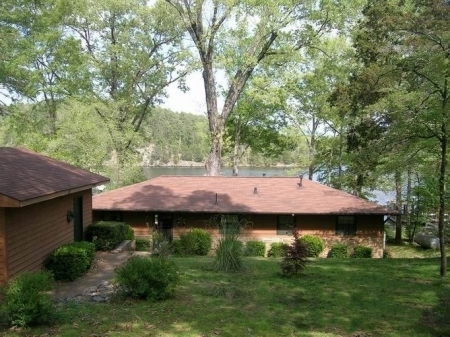 You will not find a more peaceful and secluded location and yet you are minutes away from downtown Hot Springs, horse racing, and all that a resort town has to offer. 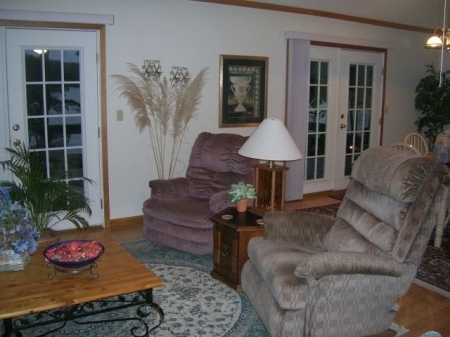 The lake vacation house is approximately 1200 sq. 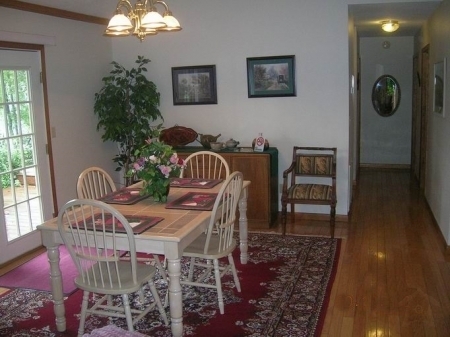 ft. with 2 bedrooms, 1 bath, large living room and a large dining area. 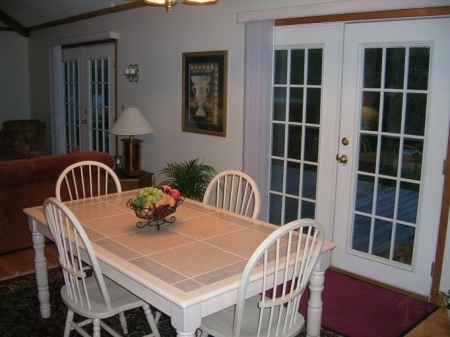 The living room and dining room have French doors that open onto an 11*50 foot long wood deck which over looks the lake. Both bedrooms have king size beds. The accommodations house is well maintained with central air, a fully equipped laundry room, stove, refrigerator and microwave. 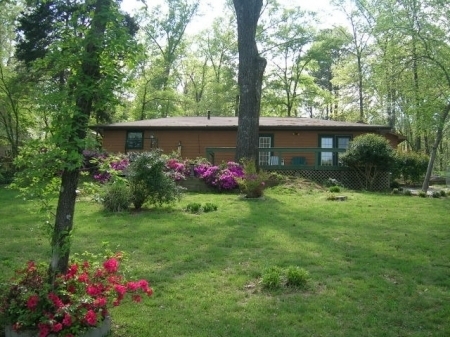 A 2 car detached garage is located at the front of the property. On the waterfront we have a large covered boat dock with a 10*30 foot deck area where you can sit back, relax and enjoy a drink as you look out over the water. This property allows the best of both worlds. 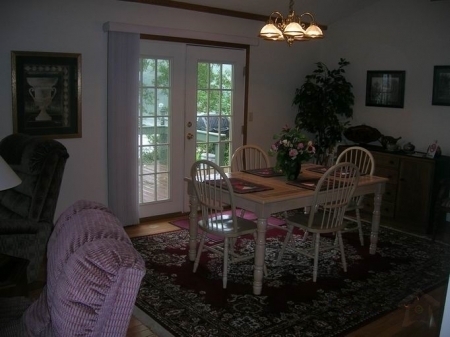 Get out of town to be in the country, yet have all the comforts of vacation home as well as all that a city has to offer less than 20 miles away. 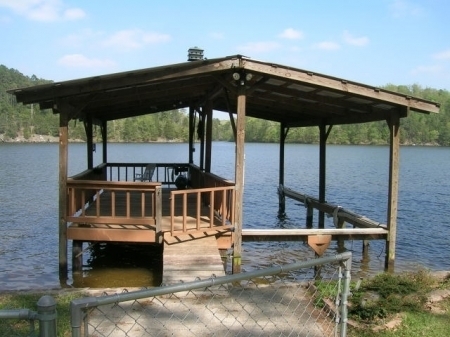 Something for the entire family: Dad can go to the horse races, the kids can go for a dip in the lake, mom relaxes on the deck with a ice cold drink, grandpa fishes and grandma strolls under the Arkansas Pines. Everyone needs to get away and there is no better place than our little piece of paradise. * We rent to responsible adults over the age of 25 only. * Maximum of 4 adults & 2 children. *Must fill out and sign rental agreement. *Full payment due two weeks prior to arrival. *Copy of drivers license (front & back) required with rental agreement and payment. *Cancellation policy - If you notify us 30 days prior to your reservation date, we will refund your deposit. *No family reunions, weddings, birthday parties, bachelor parties, large gatherings, etc. *Our home is a family oriented vacation getaway. *Respect the neighbors and their property. Do not ï¿½??borrowï¿½?? items. *Reservations - first deposit received will be the booked. See Availability Calendar for open dates.